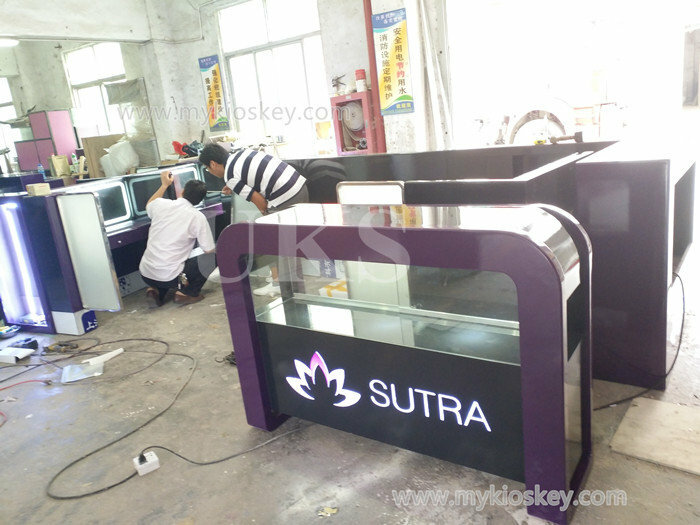 Welcome to buy hair salon station from our factory. 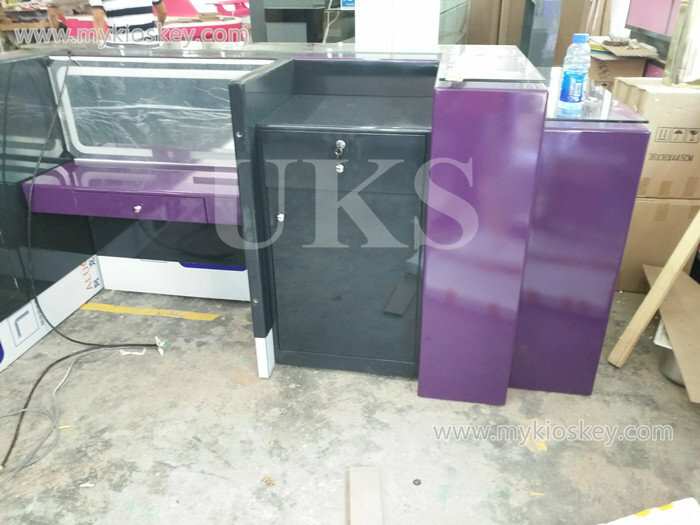 For mall salon kiosks, we have done many to export different countries.Like hair dressing salon furniture, we also have done many. All hair salon stations are custom made as requested. 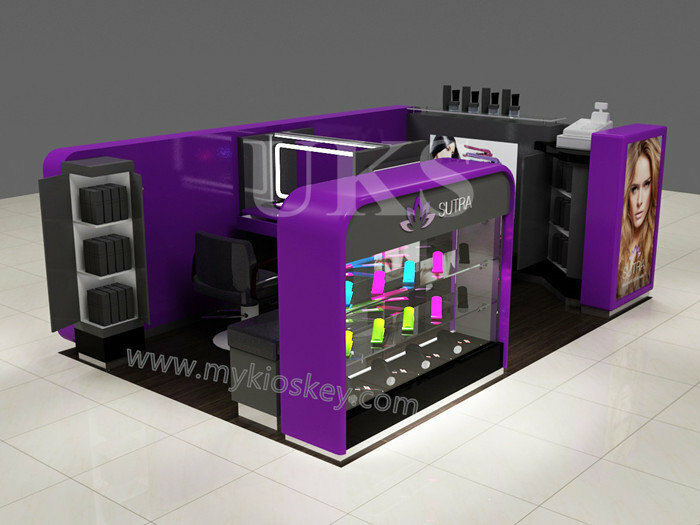 The below is one open hair dressing salon kiosk, which have 6 working stations. Modern and fashionable style, Also are easy to assemble and move. Basic information for hair salon station. 3D MAX design show of hair salon station. 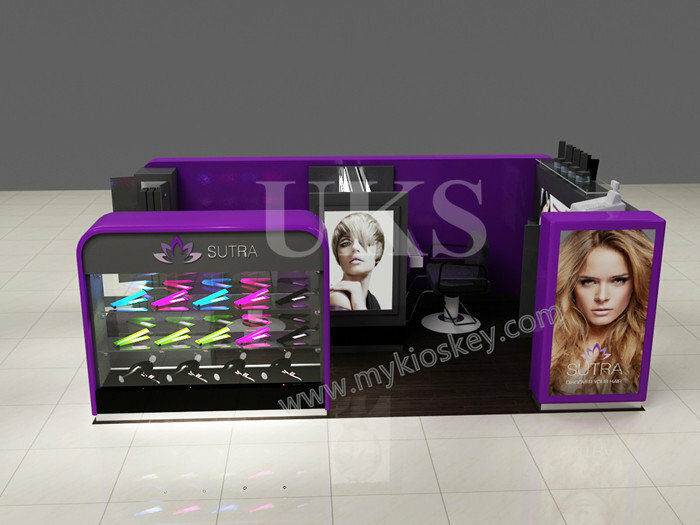 How to make a perfect 3D MAX design for mall hair salon station and hair dressing salon furniture? Before design,need know the place size and location photos in mall.Then we can know where is the kiosk and how look its around. And need you send us logo in PDF format. And tell us how many work stations you need.Then we can add it in 3D MAX design, and to show reasonable layout. In order to serve you better and build a nice cooperation, usually we need charge 300usd-500usd (depends on size) as design deposit, but will refund after order. Finished hair salon station show. If you are interested in it, contact me pls. 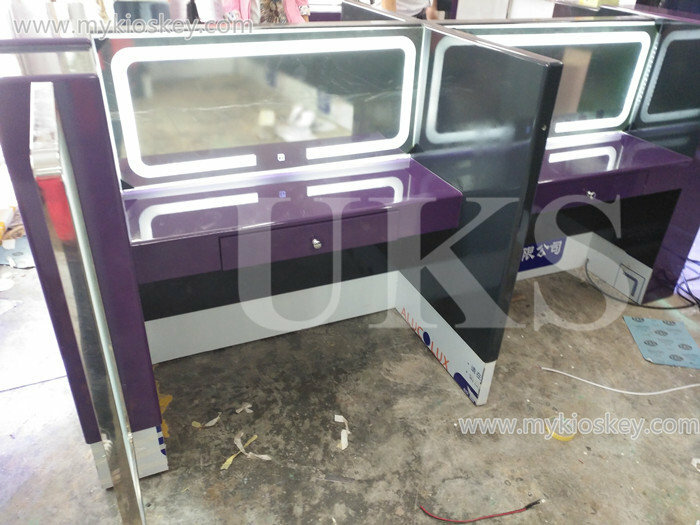 PreviousPrevious post:Colorful elegance cosmetic display kiosk for shopping mallNextNext post:Ifix Mobile phone kiosk display counter for Australia .